I’ll be participating in 2 events this week — the Milwaukee Banned Books reading at Woodland Pattern & United We Read! More info below & hope to see you there! 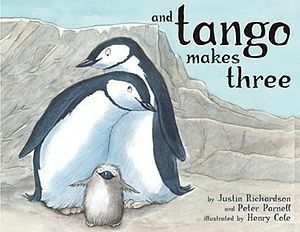 This week is Banned Books week and I’ll be one of the readers for Milwaukee’s Banned Book event & will be reading from And Tango Makes Three, a children’s book which has topped the ALA’s 10 Most Challenged Books List between 2006 and 2010. For more on this history, read Sherri Liberman’s blog post on the New York Public Library’s website here. For those in Milwaukee, you can also join the ACLU of Wisconsin, Woodland Pattern Book Center, Renaissance Theaterworks, Wisconsin Center for the Book, STITCH Milwaukee, Libros Milwaukee, and Bronzeville Arts Ensemble for this free event celebrating our rights and the freedom to read! Costumes are encouraged, and there will be prizes to recognize some of the more creative banned-book-themed costumes! Prizes donated by: Too Much Metal Showroom, ACLU of Wisconsin, Woodland Pattern Book Center, and other gifts from anonymous donors. After Party at the Riverwest Public House, 815 E. Locust Street, Milwaukee. They are concocting something obscene for us in honor of Banned Book Week! Started in 1982, Banned Books Week is an annual event that celebrates the freedom to read and calls attention to the wealth of creative expression that is stifled when books can be forbidden from library shelves. The ACLU has always vigilantly defended the First Amendment and the right to free speech. We believe in an educated citizenry and a society where ideas are openly disseminated, discussed, and debated. And throughout our history, we have worked to protect the right to access information, and the right to make up your own mind. Renaissance Theaterworks of Milwaukee will get things started when actress Jennifer Wanasek performs a segment from The Belle of Amherst, a play about Emily Dickinson coming this fall from Renaissance. Jennifer and director Suzan Fete will then discuss the seemingly subtle forms of censorship Emily Dickinson faced, often at the hands of male editors. 2) United We Read, our UWM creative writing student/faculty reading series, makes its return on Friday, September 27, at 7 pm at Trocadero (1758 N Water St). Our fantastic lineup includes George Clark, Barrett Travis, Noel Pabillo Mariano, and Ching-In Chen. Come out and join us for a fine time of storytelling and poetry. My poem, “Composition/Sitting Still,” was made at Millay Colony for the Arts & is in EDNA, alongside work by fellow Millay alumni I was in residence with — Cristián Flores García, Claire Donato, Carl J. Ferrero and Fiona Templeton — as well as friends Sarah Gambito, Evie Shockley, Ronaldo Wilson & more! 1) I’ll be reading at the opening reception of the Exquisite Uterus exhibit at the University of Wisconsin-Milwaukee’s Union Art Gallery, 5-8pm. The Exquisite Uterus Project: Finding Equal Ground is a collection of 200+ fiber and mixed-media artworks from across the nation to give voice to the pressing issues of our time relating to reproductive healthcare for all women. This collaborative art project was started in early 2012 by feminist artists and curators Helen Klebesadel and Alison Gates in response to what is being called the ‘War on Women’. This iteration of The Exquisite Uterus Project will also feature a print collection regarding reproductive rights entitled“This is an Emergency!” curated by Justseeds Artist Collective artist Meredith Stern. 2) I’ll be appearing on a panel on Southeast Wisconsin Literary Magazine Publishing with J. Rod Clark at the Southeast Wisconsin Festival of Books on Sunday, September 22, 3-4pm at the Library at the University of Wisconsin at Waukesha. You are currently browsing the Sunslick Starfish blog archives for September, 2013.